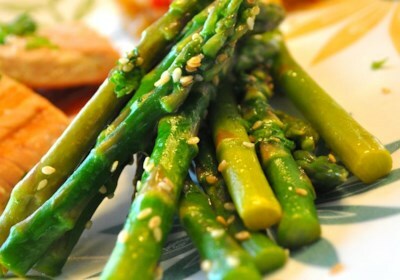 Toasted sesame seeds, lemon juice and parsley are added to melted butter and drizzled over crisp asparagus. 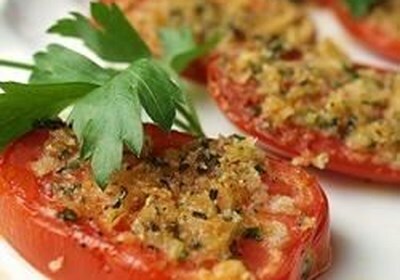 Delicious fresh tomatoes broiled with a tasty cheese topping. 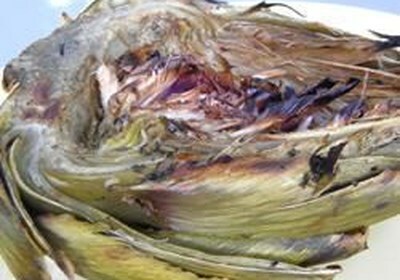 Artichokes are seasoned and tenderized by being boiled in white wine, basil, thyme and liquid smoke before being grilled. 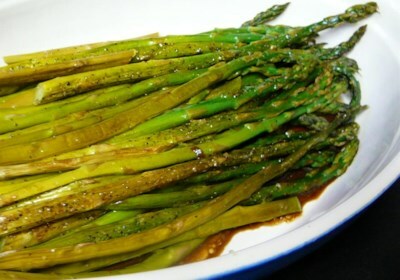 Add this to your outdoor-cooking repertoire for all to enjoy. 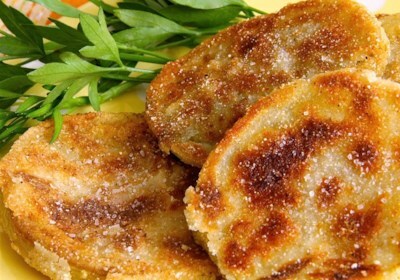 Green tomatoes are lightly coated in cornmeal and fried to a perfect light brown crispness. 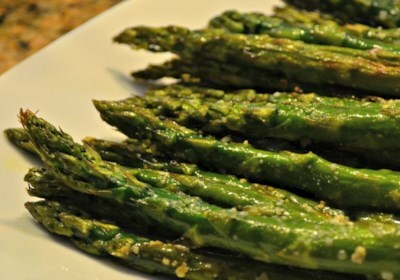 They are a quick and easy appetizer for any gathering. 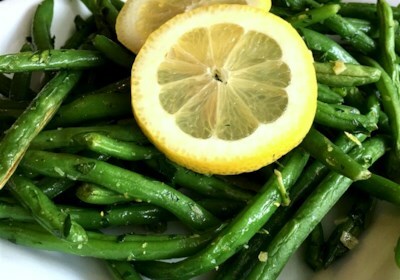 Farm-fresh green beans are blanched, then stir-fried with butter, olive oil and diced garlic, and seasoned with lemon zest, parsley and lemon juice in a fast, versatile side dish. 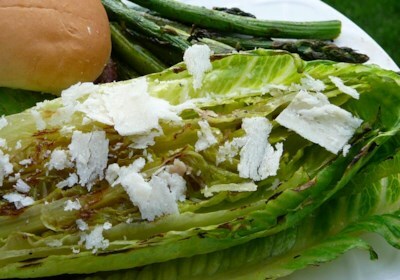 This amazingly simple and quick recipe for grilled romaine will delight with its contrasts of tastes and textures. 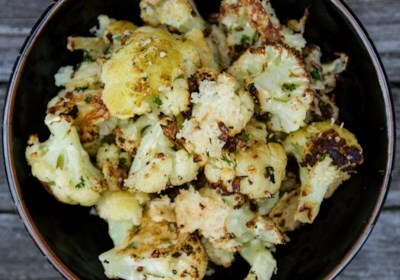 A quick and easy side dish is seasoned with Indian-style spices and thickened with Greek yogurt for a creamy curried corn. 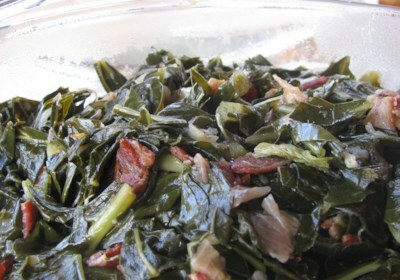 A new recipe a neighbor gave us. What a hit with my family. 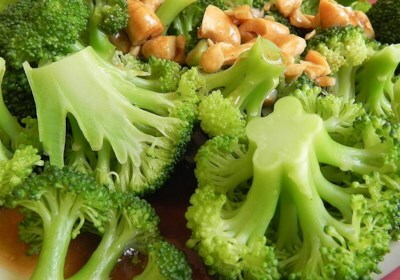 Just the right mixture of garlic and cashews with our favorite side dish, broccoli. 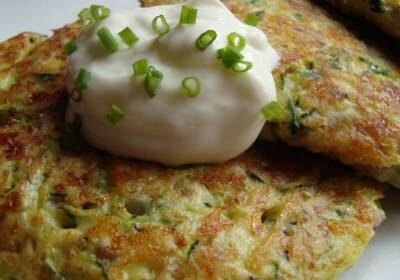 And, so very easy to make!! 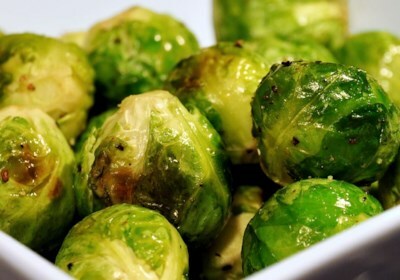 If in a pinch, you could probably use frozen broccoli too, but I haven't tried. 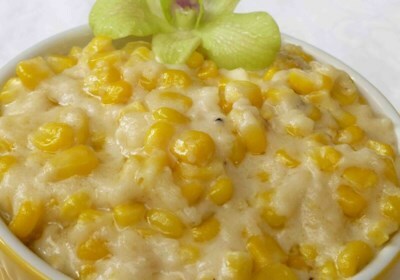 This is NOTHING like canned creamed corn! 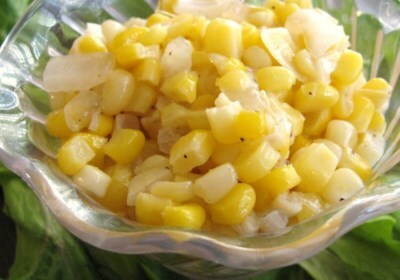 My husband is not a fan of corn or creamed dishes, but he thinks this is great. 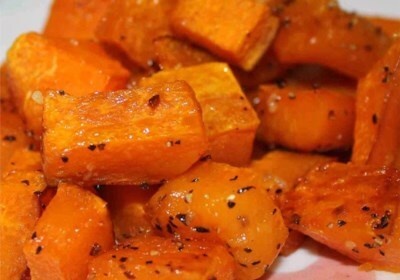 Easy and quick to prepare and is an especially delicious side dish for chicken or pork. 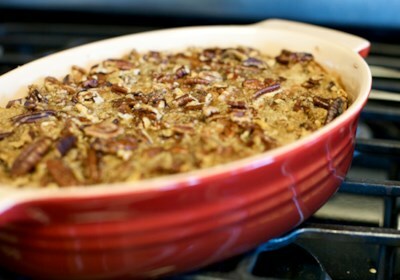 Everyone always asks for the recipe. 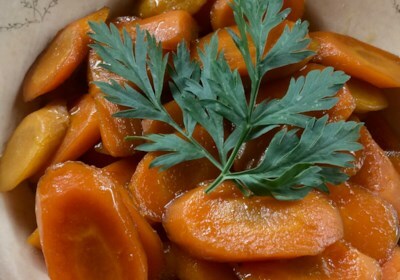 This is an actual recipe from a former employee of a popular drive-in restaurant. 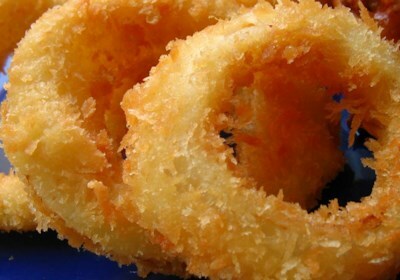 Crispy coated onion rings like the pro's make! 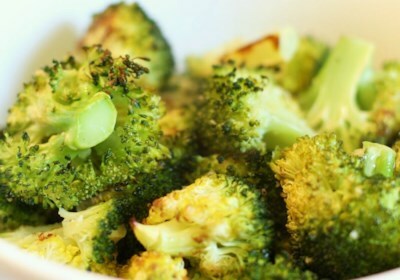 Broccoli florets are roasted after being tossed in olive oil and sprinkled with sea salt, freshly ground black pepper, and minced garlic. 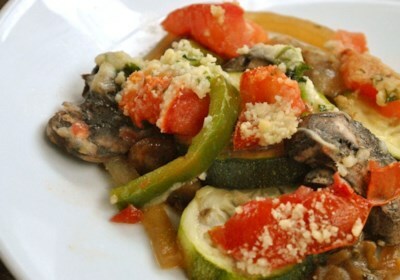 A squeeze of lemon juice before serving seals the deal. 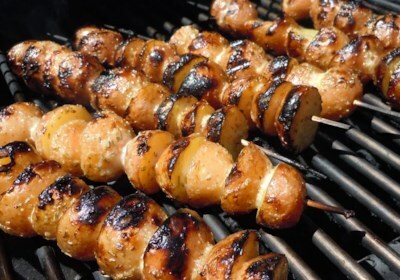 Caramelized garlic and cheese! 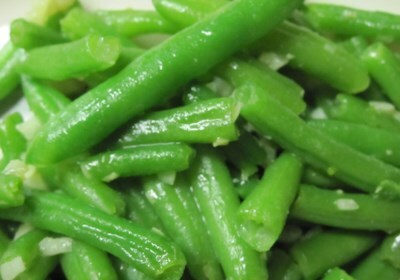 Is there anything better with green beans? 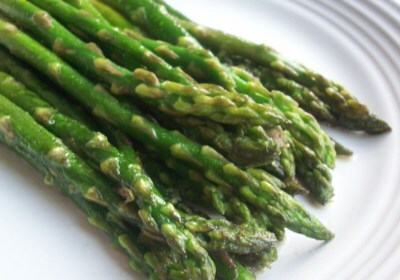 You'd better make plenty for everyone! 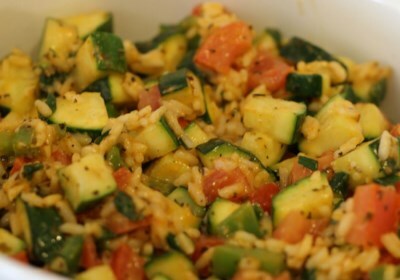 Celebrate summer with this quick casserole made with zucchini, herbs, cheese, and rice. 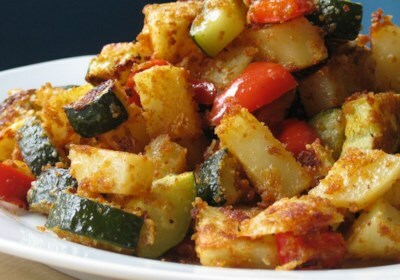 Lightly seasoned potatoes, zucchini, and red bell pepper are baked together in this easy side dish. 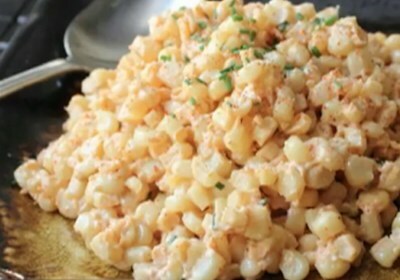 This is a side dish where the title says it all. 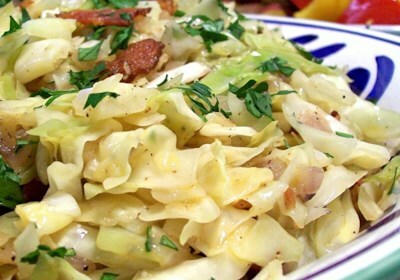 Cabbage is fried with bacon, onion, and garlic for a side dish you'll want to eat again and again. 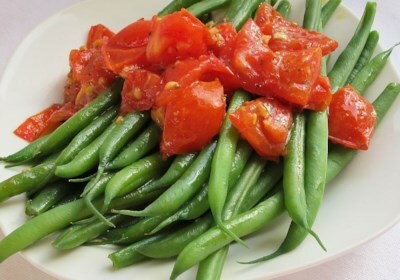 These beans are briefly boiled and tossed with cherry tomatoes in a buttery basil sauce to make the most yummy green beans ever!